Biswajit Dash from Bhubaneswar, B.Sc Graduate. Working for : Ind Barth Energy Utkal Ltd. Currently working as Human Resource Experienced at Ind Barth Energy Utkal Ltd.
RECRUIMENT ON BOARDING TO EXIT .. TRAINING & DEVELOPME.. IR CSR STAUTORY COMPLIANCE HR & ADMIN BUDGET POLICY FORMULATION &.. AWARD WINNING DESIGN.. PAY ROLL COMPENSATIO..
are one of expert skill area's of Biswajit Dash . 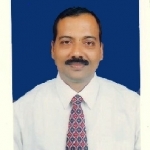 Biswajit Dash is working in Engineering Project Mgmt./Site Engg./Civil Engg./Construction industry.